First of all, the fire dragons start out in the falcon and the farseer starts out with the dire avengers. The farseer + dire avengers unit works its way up the center of the board. The falcon is runs up one side of the board while the guardians and warlock follow the wraithlord up the other side. The heavy support units focus on anything that my smaller units can't kill. Everything else just plays opportunist the whole game, shooting or assaulting whatever is most convenient at the time. *Yes, I know that "Tactica" seems to be the most commonly accepted term among Warhammer players, but it just sounds dumb to me. On my site, we'll go with "tactics." Ideally, I'd like to infiltrate the scorpions close to a juicy target. Otherwise, the tactics would be similar to my current list, except that the fire prism doesn't need to stay close to any of the infantry in the same way that the wraithlord needs to. The falcon still transports the fire dragons. The farseer still joins a squad of dire avengers. Of course, I doubt I'll ever get to actually play this. I'll likely keep playing all of my models until I hit 1500 points. At that point, my new purchases will be to replace the units I'm not happy with. I had something interesting happen over the last few weeks. On two occasions, I had a character death (technically, one was a cohort) and the player, rather than roll up a new character, wanted to just change the name on the character sheet instead. I couldn't believe it. As a player, I'm always itching to try out new ideas and give new mechanics a spin. I guess that's why I'm so stuck on multiclassing... it lets me "cheat" in a sense and play multiple character types simultaneously by merging them together. Playing the same guy twice in a row gets boring to me. I guess that's why I DM so often... I never get "bogged down" with a single character for long. In the end, I made them reroll stats and start over with new equipment, but there isn't anything that prevents them from choosing the same class, same feats, same alignment, etc. throughout the rest of the character creation process, so I let the rest go. Anybody else see this in their campaigns? Is it more common than I thought? The elite ork soldiers serve as leaders for small squads of grunts or as shock troops. These orks are less likely to shoot wildly while advancing as their less experienced counterparts do, and are much more efficient in a fight. They are best known for the love of their favorite task... mopping up weakened foes after a few waves of grunts have softened the resistance. 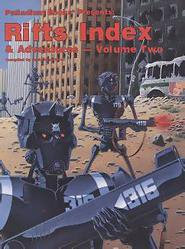 Ork Elite Soldier (Strong Ordinary 1/Tough Ordinary 1): CR 1; Medium Humanoid (human, mutant); HD 1d8+2 plus 1d10+2; hp 14; Init +1; Spd 6; Defense 16, touch 13, flat-footed 15; Grap +3; Atk longsword +4 melee (1d8+2 / 19-20) or pistol +2 ranged (2d6); SQ ; AL LE; Fort +4, Ref +1, Will +0; Str 14, Dex 12, Con 15, Int 11, Wis 8, Cha 6. Click here for more on the super mutant orks or here for more on the Spectrum Shock campaign setting. The typical ork grunt is consumed with blood lust. They charge into battle with guns blazing, wasting ammo firing shots that are wildly inaccurate due to range before smashing into their foes with devastating melee attacks. The charge of an ork war party is a terrifying sight to behold. Ork Grunt (Strong Ordinary 1): CR 1/2; Medium Humanoid (human, mutant); HD 1d8+2; hp 6; Init +1; Spd 6; Defense 16, touch 13, flat-footed 15; Grap +3; Atk longsword +3 melee (1d8+2 / 19-20) or pistol +2 ranged (2d6); AL LE; Fort +3, Ref +1, Will +0; Str 14, Dex 12, Con 15, Int 11, Wis 8, Cha 6. There have been a slew of blog and forum posts over the last week about the new Wizards of the Coast fansite kit, and I can't claim to have read them all, so if I'm repeating someone, I apologize ahead of time and I promise not to waste too much of my readers' time by making this fairly short and to the point. People like me who write because they enjoy the mental exercise, but for the most part only write for small audiences (sometimes just ourselves!). Most, if not all, of what we produce is not high enough quality to compete with a full staff of employees hand-crafted to create quality products. WotC, you have nothing to fear from guys like me. People who write quality stuff for niche genres. These people are passionate about their little corners of the hobby and sometimes produce stellar products, but let's face it. Their ideas just aren't appealing enough to the masses for them to steal any real business. You wouldn't produce the products these guys write because they wouldn't sell well enough, so why bother with them? People who write and produce quality work that appeals to a large group of potential customers. This is a very small minority on the internet, but they might end up being competition. The tough part is recognizing when there is an asset to your company out there that you would be stupid not to recruit. If there is someone on a fansite who is producing better material than what you are paying your employees to produce, wouldn't it be stupid not to recruit them? If WotC loses money because they have hired people who can't produce a better quality product than a fansite can produce, they can blame no one but themselves. With those three categories of competition (if you can call it that), I really don't understand the restrictive nature of the fansite policy. To be such a powerhouse in the industry, one would think that they would encourage gamers to publish their adventures, NPCs, and encounters from their own personal campaigns. This move just feels more like a selfish child with his favorite toy more than a company that is confident in their ability to produce better quality work than their own fans. Personally, I've pretty much stopped playing 4E for the moment in favor of D20 Modern and D&D 3.5 (put together, no less). Does that mean I won't ever pick it back up? No, but if I ever actually got one of those C&D letters for posting one of my NPC Spotlights, it would be all over for me. That's my line in the sand, Wizards. Your current product isn't so much better than Pathfinder (or just plain old 3.5, for that matter) that I'd feel the need to cling to it. Note: For the best article I've read about this so far, check out The Seven-Sided Die's response. Also, while internet petitions have always seemed useless to me in the past, here's a link to one protesting this new policy: http://www.petitiononline.com/2d6plus8/petition.html. 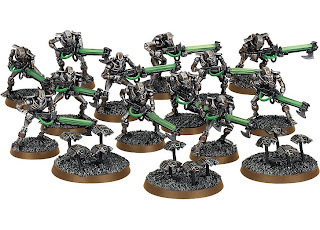 I have become a huge fan of using Warhammer 40K miniatures for my Spectrum Shock campaign, so much so that I would like to find a use for every single one that my group purchases. To be honest, though, it's not just that they are awesome miniatures. They are also insanely expensive, especially if you add in the amount of cash I've blown on painting supplies... and I don't even want to think about the whole "time is money" theory and all the time I've spent assembling and painting. Getting a two-for-one makes me feel a little better about spending the money, though. After all, if I get to use each miniature for our D20 Modern campaign and I get to march it across the battlefield in a real game of Warhammer 40K, it actually begins to feel like money well spent. Over the next week or so, I intend to repost my previous work on Washington DC, Boston, and the supermutant orks with stats for a few common NPCs and pics of at least semi-painted figures for each faction. I also have a few more NPC spotlights in the works, so I might dub next week "NPC Week" here at Outsyder Gaming. We'll see how much work I get accomplished over the weekend. I've written very little lately, mainly because my attention has been on painting miniatures and card games rather than RPGs. After a shaky one-for-four stretch of our weekly game nights, I've started drifting back toward games that I don't need the same core group of friends around to play. If I had my choice, I'd play RPGs all the time... but after several weeks of minimal playing, I start itching for something to sink brainpower into. Why do I prefer roleplaying games? The gathering of friends & family. I like hanging out with my people. The team aspect (even when I'm the DM). Being limited only by my imagination (and occasionally the rules). I can buy a few rulebooks and never spend another dime. What makes trading card games more appealing at the moment? Being able to go to the FLGS on Friday and play regardless of whether or not I know anyone. Because there is an accepted structure, you can pretty much play a game with anyone and have fun. It's a perk that RPGs don't have, as house rules, combat to roleplaying ratios, and GM styles very wildly. Best of all, if different people show up every week, it doesn't matter at all as long as there are enough to play. Continuity doesn't matter. No prep time in between games if I don't feel like it. Once I've built my deck, if I want to tweak it for the next tournament, I can. If I want to get some testing in against a deck archetype that is unfamiliar to me, I can. If I don't want to, it might affect how well I play, but it won't affect whether or not I get to play. Similar things can be said for the players of RPGs, but GMing is a different story and a good improv. session is hard to come by. I'd rank my ability to improvise as mediocre at best. Winning stuff. There are very few instances in gaming that are more satisfying than walking into the tournament with nothing but your entry fee and walking out with a ton of new cards. In what RPG do you actually win stuff? I can't think of one. As I've started collecting Warhammer 40K miniatures to use in my Spectrum Shock campaign, I noticed some of the same trends. Once you have an army built, there is very little you need to do in between games. There is a fairly well-accepted structure to games so any random opponent is good to go. There are tournaments set up with prizes. I've even started collecting an Eldar army so I can actually get into the hobby. The downside, of course, is that games like Magic: The Gathering and Warhammer are prohibitively expensive. Magic is less so, but those budget decks usually don't last long in a tournament with decent competition... and my competitive nature always draws me to the tournament scene eventually. One aspect of pre-4E d20 games that has started irritating me lately is the amount of time it takes to create NPCs and monsters. They follow all of the rules that characters do, so it takes a while. It never bothered me before the new edition, but after DMing a 4E campaign and now returning to D20 Modern/D&D 3.5 rules, it has become frustrating. I've had this pdf sitting in my hard drive since before Christmas, but I never spent much time reading over it because so much of it feels like it has just been copied & pasted from 3.5, a system that I'm familiar with. That said, in a moment of boredom, I opened the file again and flipped to a random page... and struck gold. I absolutely love pages 292-298. Basically, it's the Pathfinder version of the "designing your own monster" section from the 4th Edition Dungeon Masters Guide, complete with stats by challenge rating. Now, it isn't perfect. The damage columns only give a number (average damage) rather than a dice range, but that shortcoming can be overlooked. I can still throw together a quick NPC in a quarter of the time it used to take. I still intend to go through the whole process for important NPCs, or at least the ones that intrigue me. But this is an excellent tool for the ill-prepared dungeon master. Now I need to figure out if there's a similar (or better) version of these tables in the final version of the Pathfinder core book. If there is, I might blow the cash for the book just for this section... it's that useful.